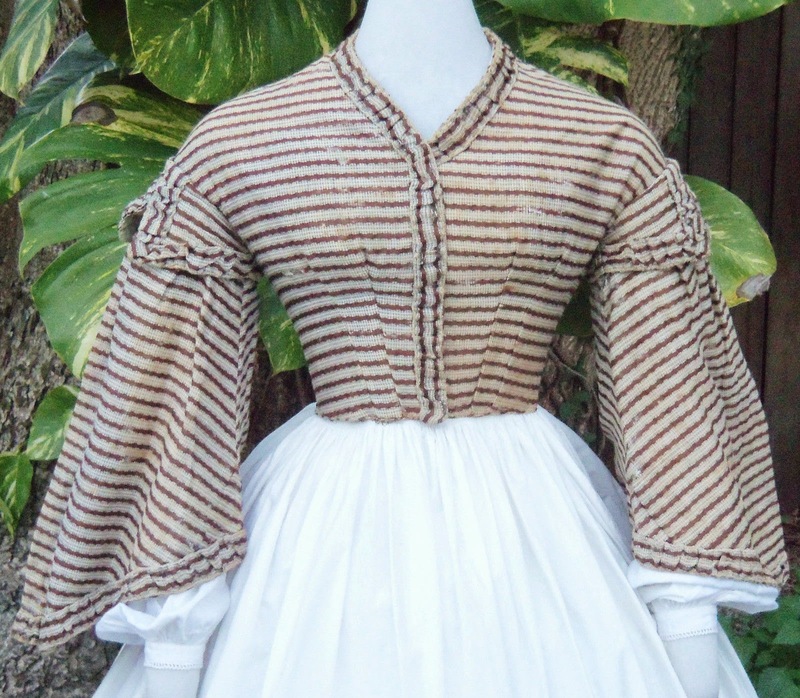 This auction is for an original Lady's Bodice from the Civil War period. 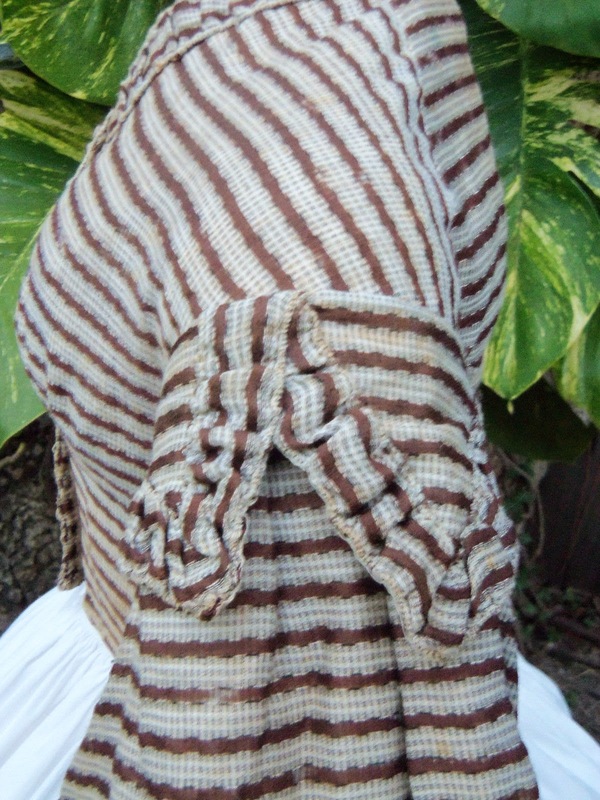 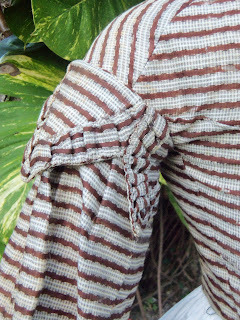 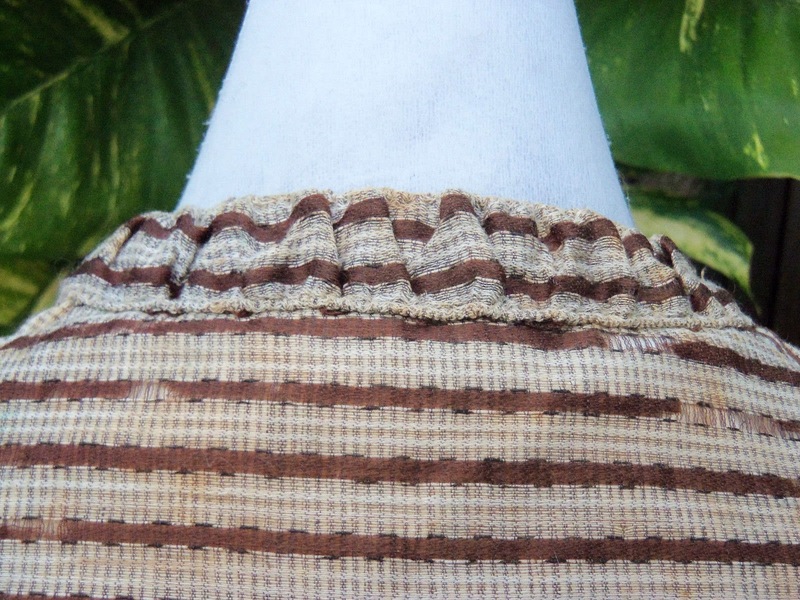 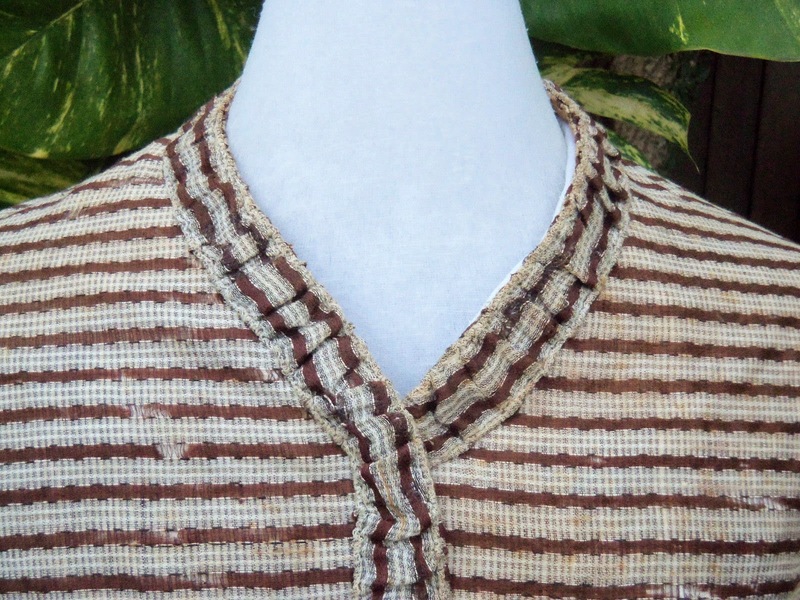 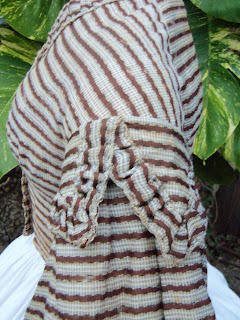 Its fabric is a lovely striped wool gauze with dark brown silk stripes running throughout. 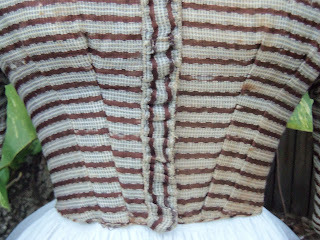 It's trimmed with puffed bands of self-fabric-very elegant! 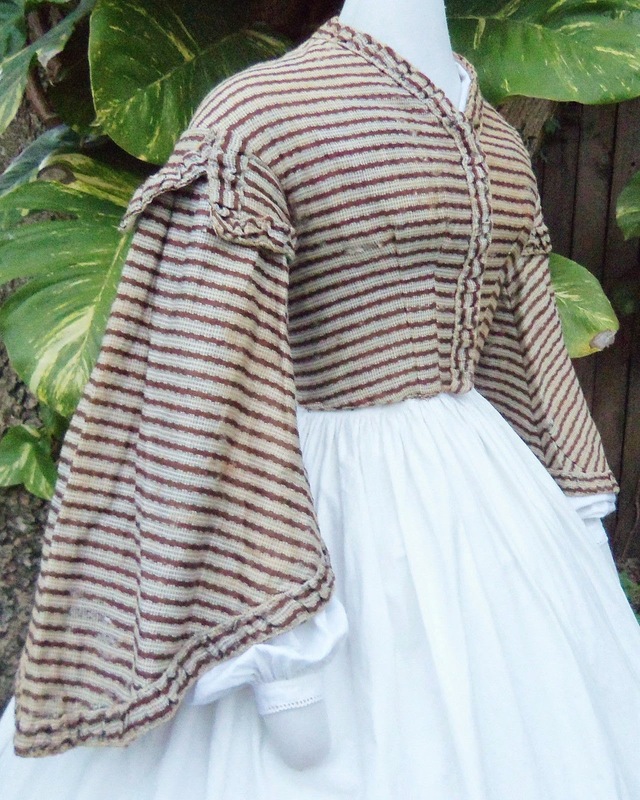 It features classic 1860s styling: dropped shoulders with piped armholes and waist, off-white cotton lining, original brass hook front closure, a dog-leg with original brass hook/eye closure, boning and hand-stitching throughout. 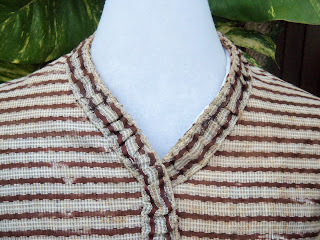 It's fashioned in a "surplice" style where one side of the front laps over the other, making a flattering V-neck. 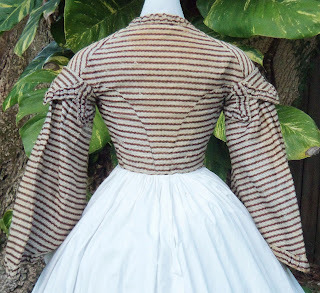 The epaulet's at the tops of the sleeves are particularly elegant- a very stylish bodice! It's a very well-preserved specimen of Civil War Era dressmaking highly suitable for display or patterning. Condition: Some wear/thinning of the fabric, possible scattered small or pin holes, light discoloration. 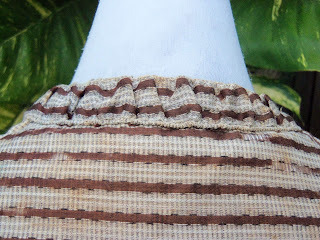 Please look at photos and ask questions. 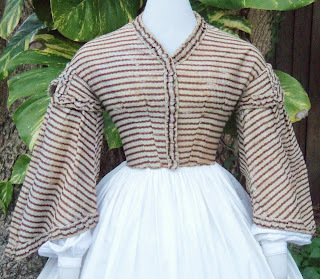 Measurements are: The bust is 33 inches & the waist measures 24 inches. 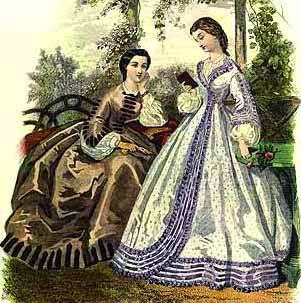 The purple and white dress has a similar overlap like closure. 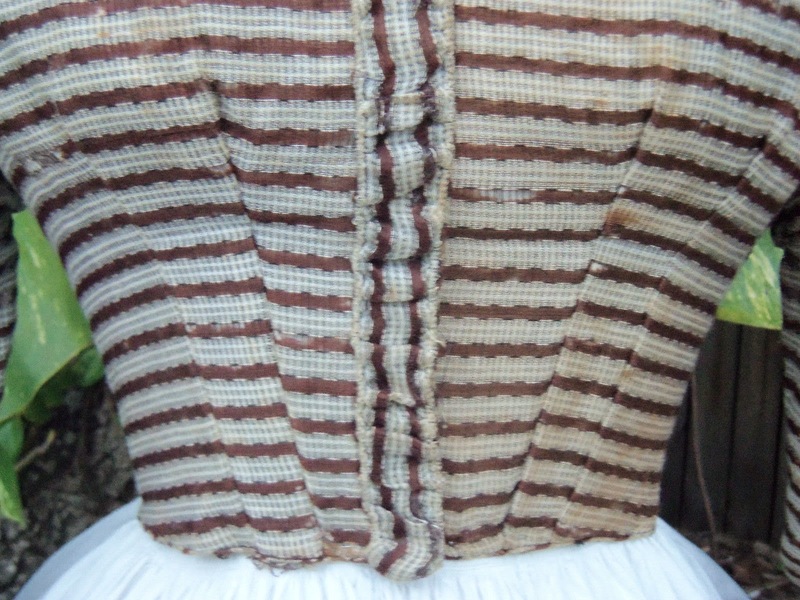 I think this bodice was probably made about 1862 and then restyled post war.